Carlton Court offers an enviable selection of fully furnished and well-maintained serviced apartments that are available for rent starting from as little as £395 + VAT/night. Situated in one of the safest neighbourhoods of London, Mayfair, our apartments enjoy a central location. All the popular places of the city, such as Oxford Street, Bond Street and Buckingham Palace, are only a short distance away from our self contained serviced apartments. You can lease our apartments for both a long or short stay. If you are travelling on your own or with your partner, you can check out our one bedroom apartments that are spread across 775 sq.ft. 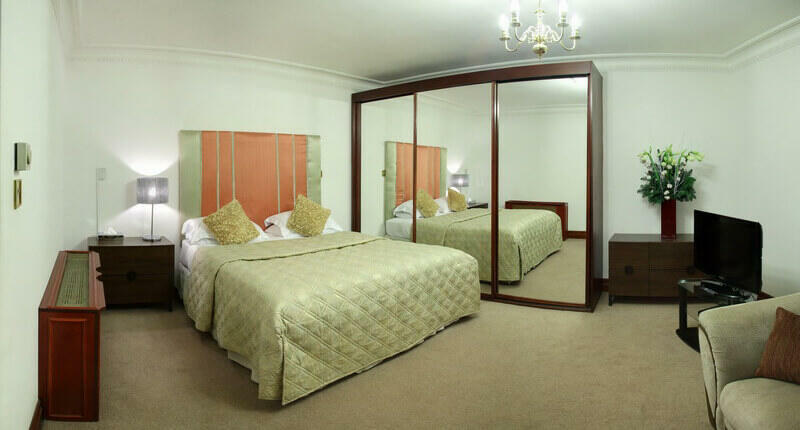 Business executive travellers could consider our one bedroom penthouse for a luxury stay in the city. The flats consist of a master bedroom, fully-equipped kitchen and a spacious living room. If you are travelling with a child, we will be happy to arrange for an extra bed or cot. At Carlton Court, we provide you with 2-bedroom duplex and deluxe apartments where you can comfortably stay with your family. Our two bedroom apartments in Mayfair are the ideal choice for smaller families comprising of 3 to 4 members. The apartments come with a large living room, a master bedroom with en-suite facilities, 2nd bedroom with a separate bathroom and a kitchen equipped with state-of-the-art appliances. If you have a large family or travelling in a group of 5 or 6, our three bedroom apartment is worth considering. The apartment is luxuriously furnished to meet all your comfort requirements and comes with a large master bedroom with en-suite bathroom, second bedroom with a double or twin bed (as requested) and third double bedroom with a bathroom, along with a separate w/c and a modern kitchen. Carlton Court’s serviced apartments provide you with space, privacy and value for money. If you want to stay in luxury then call us today.